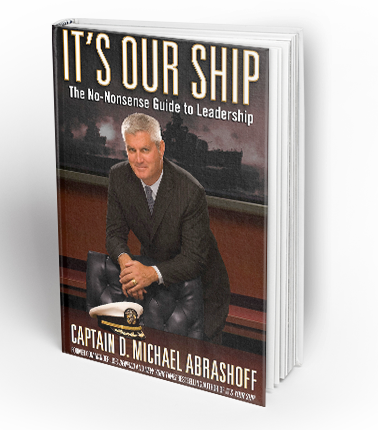 Mike Abrashoff is at the center of one of the most remarkable modern day stories of organizational transformation. At 36, he was selected to be Commander of USS Benfold and was the most junior commanding officer in the Pacific fleet. The challenges of this underachieving destroyer were staggering, with low morale and the highest turnover rate in the Navy. Few thought the ship could improve. Yet 12 months later it was ranked #1 in performance -- using the same crew. How did Mike do it? By replacing command and control leadership with commitment and cohesion. The lesson was clear: Leadership matters and culture is everything. 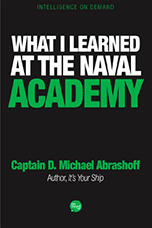 Since leaving the Navy, Mike has worked with over 1200 organizations instilling leadership initiatives at every level – achieving phenomenal change in unexpected places. Leaders especially identify with Mike being accountable for results in an environment where he couldn’t make the rules. 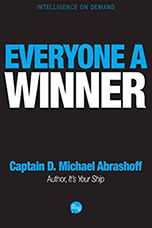 He focused on the one thing he could influence: his crew’s attitude, because culture is the ultimate competitive weapon for any organization. That’s why Wall Street Journal, Fast Company and others have cited Mike’s story. It’s also why Mike is so popular with such a wide range of audiences. As a keynote speaker, Mike has spoken to every industry and kind of audience – from board retreats to front line personnel, from sales groups to universities, from Fortune 500s to startups. He tailors his message to focus on engagement, execution, change, safety, diversity, leadership, teamwork, innovation, accountability and more.